Watching anime - thinking about anime - talking about anime. Happily married to Jamie Charlene since 1991. 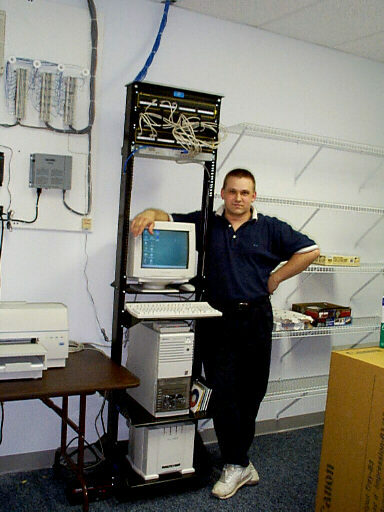 An older picture of me - Back in the days of my Network and Computer Services Business. Me - And yes, I wired that patch panel. Woo Hoo! Don't know what Midi file is playing on this page? Better get a fansub copy of Macross DYRL fast! Copyright © 1999-2001 Robert's Anime Corner (tm), All Rights Reserved. © All Images, character names and titles are registered & copyrighted by their respective companies or owners!